Ivan Pulinkala is a contemporary choreographer living and working in Atlanta, GA. Originally from New Delhi, India, Pulinkala moved to the United States in 1998 to pursue a Master of Fine Arts degree in Dance. In 2012, he received his doctorate in Higher Education Administration from the University of Alabama. Pulinkala began his professional training and choreographic career in India, where he served as the artistic director of his own company from 1994-1998. Pulinkala served as the choreographer-in-residence for Delhi Music Theatre for five years, and was named among the 25 Indian artists of the Millennium by the India Today Magazine in their December 1999 issue. Ivan Pulinkala currently serves as the Interim Dean of the College of the Arts at Kennesaw State University. He is the founder of the Department of Dance at Kennesaw State University, a program he established in 2005. 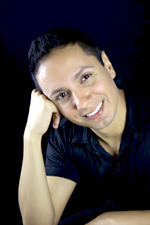 He travels nationally and internationally choreographing and teaching dance. His work has been commissioned for concert dance (modern and contemporary ballet), musical theatre, as well as corporate and commercial film. His choreographic interest lies in altering physical space through collaborations with visual artists to create unique physical elements that are explored through his work. His movement philosophy blends the intellectual investigation of sociopolitical subject matter with the physical exploration of space, to create work that is physically dynamic, and infused with strong visual and theatrical elements. Pulinkala serves as the interim Dean of the College of the Arts at Kennesaw State University. He has served as the director and chair of the Department of Dance prior to this appointment. Founded in 2005 under his leadership, the department is home to the largest collegiate dance program in Georgia. During his tenure as Program Director and Chairman, Pulinkala has developed two dance facilities at KSU and masterminded the development of the regions only Dance Theater. Pulinkala teaches courses in contemporary technique, choreography, kinesiology, performance, and is the artistic director of the Kennesaw State University Dance Company. In 2005, he received the Board of Regents award for Teaching Excellence from Murray State University. Pulinkala has also received the KSU Foundation Award for his creative scholarship, and the KSU Clendenin Graduate Fellowship for his doctoral studies. The Board of Regents of the University System of Georgia selected Pulinkala to be part of the Executive Leadership Institute in 2013 and the Accelerated Leadership Academy in 2017. Pulinkala is committed to contributing to the development of the next generation of artists through his work as a dance administrator, educator, and choreographer. The KSU Department of Dance has received regional and national attention for Pulinkala's choreographic work at the American College Dance Festival. Pulinkala is the only choreographer in the history of the American College Dance Festival to have work selected for three successive national festivals. Recent choreographic commissions have been presented in Israel, Spain, China, and India, in addition to commissions in the United States.